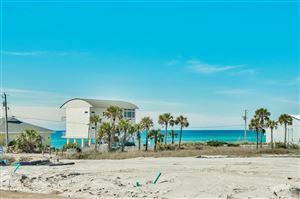 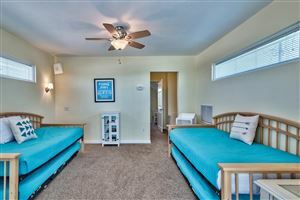 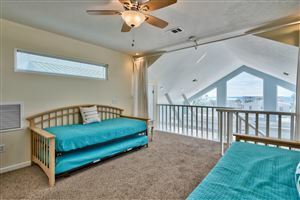 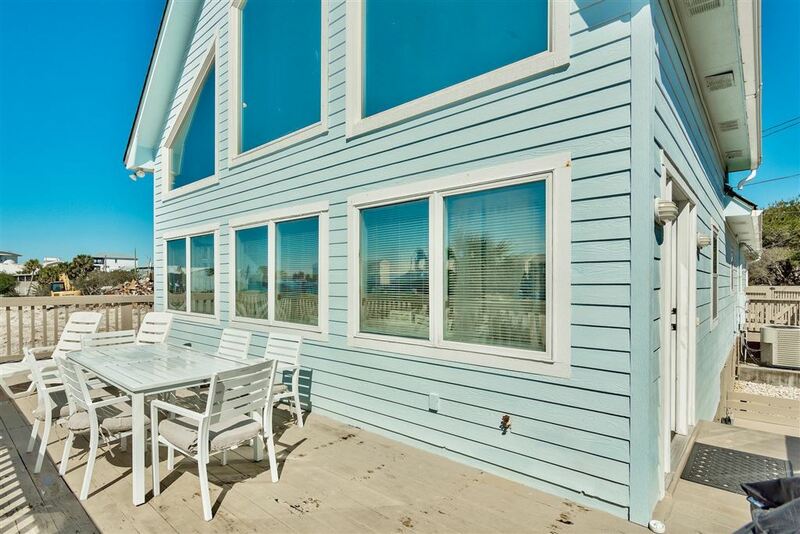 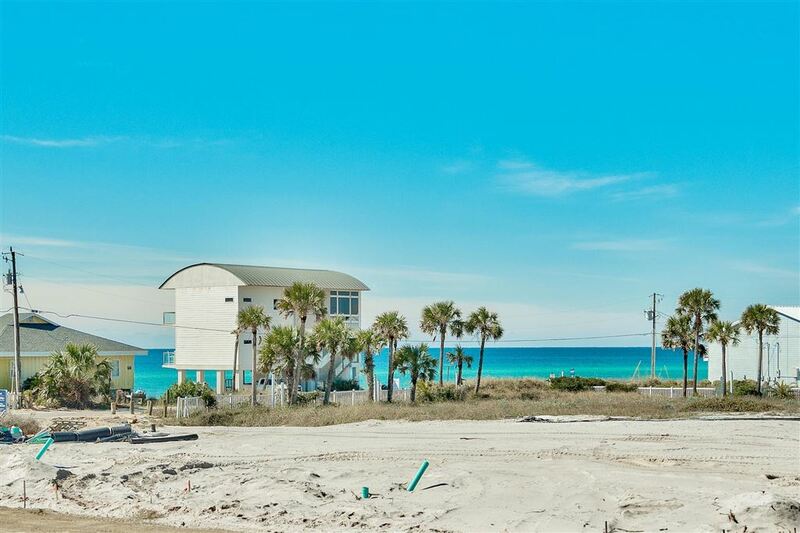 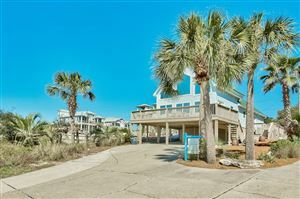 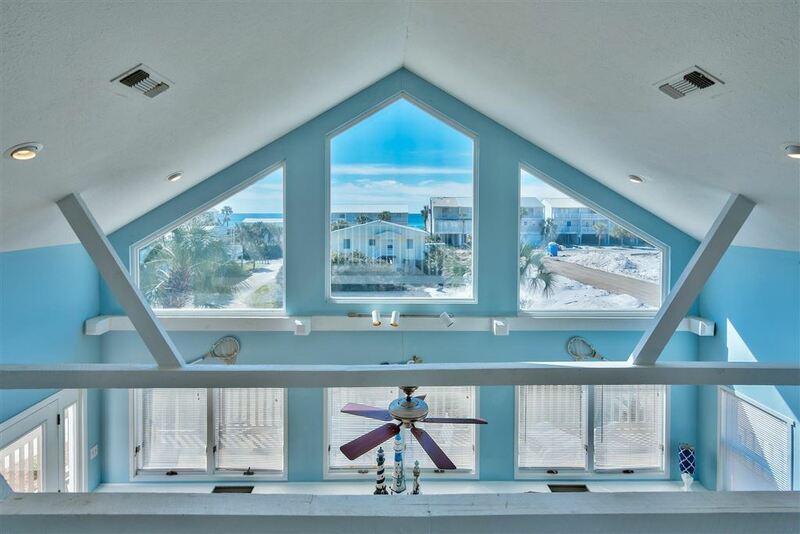 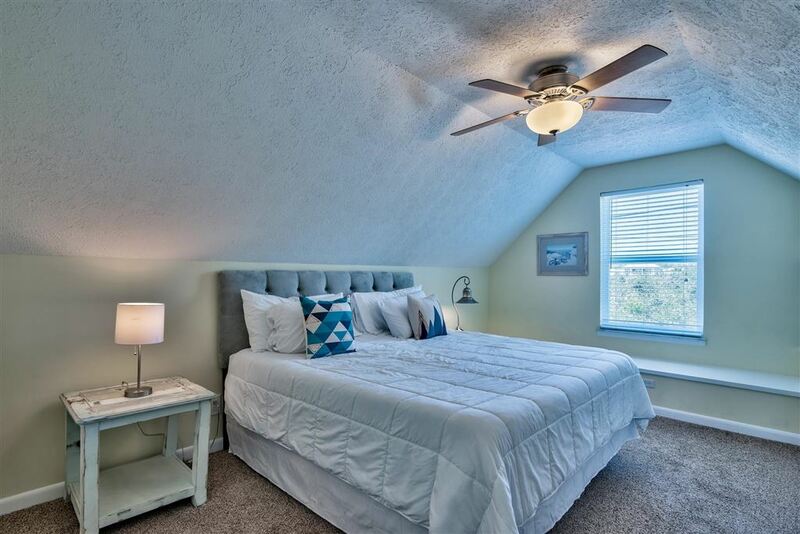 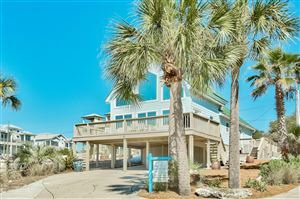 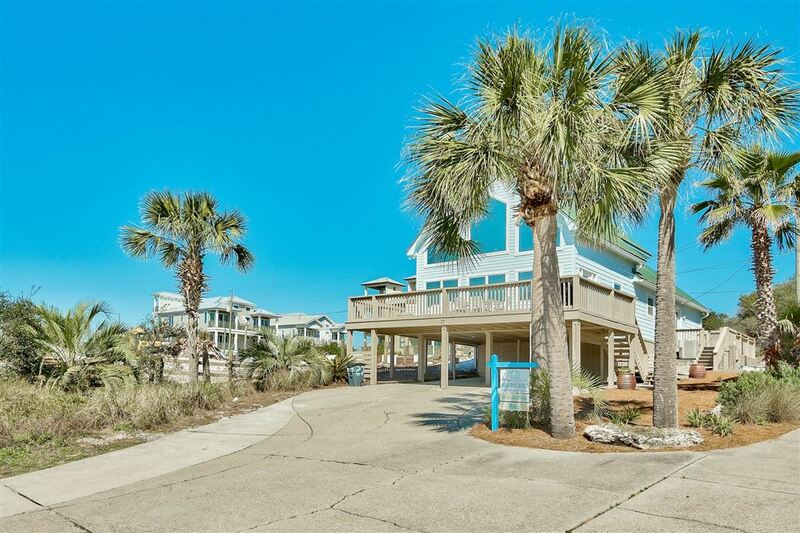 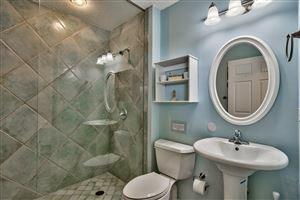 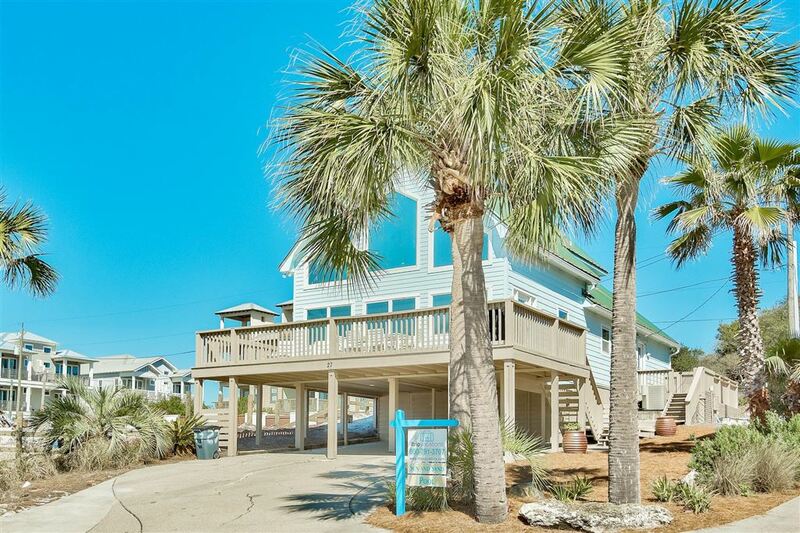 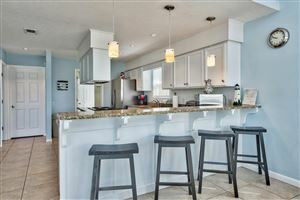 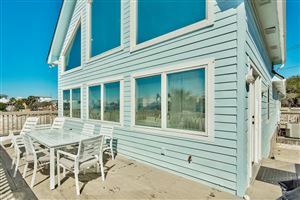 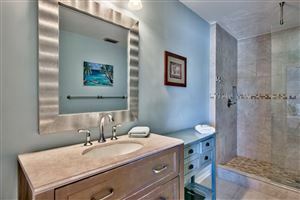 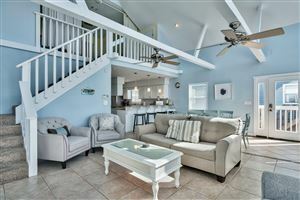 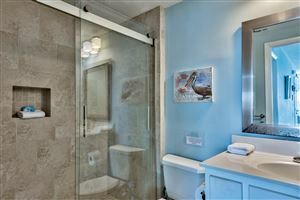 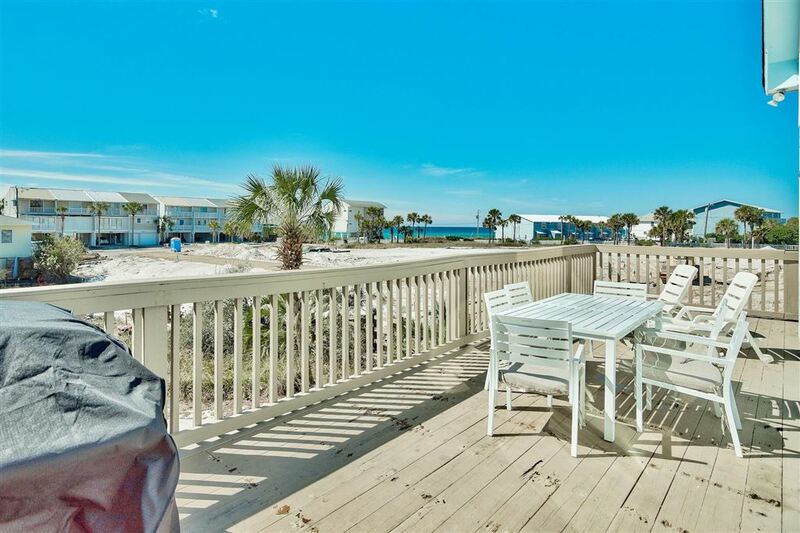 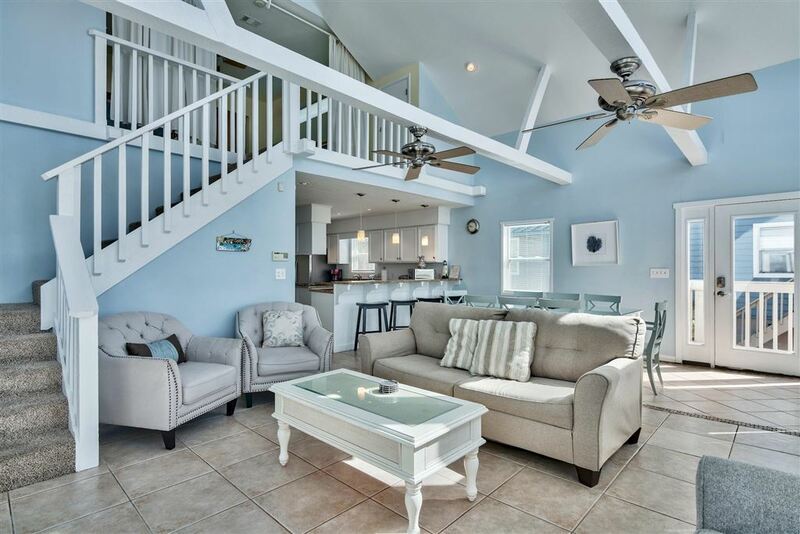 The perfect beach cottage with forever gulf views in sleepy , quiet Inlet Beach. 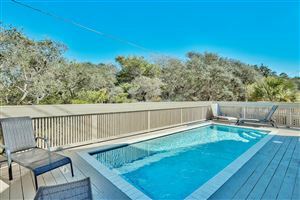 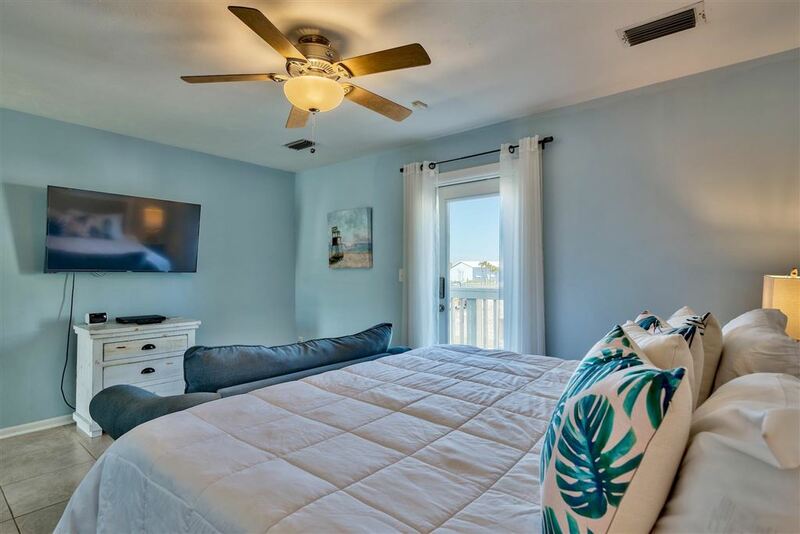 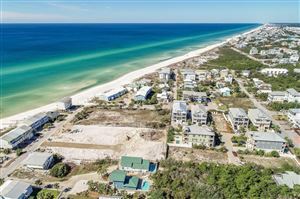 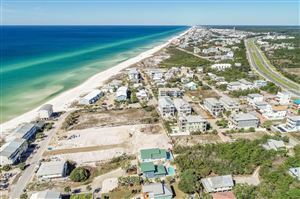 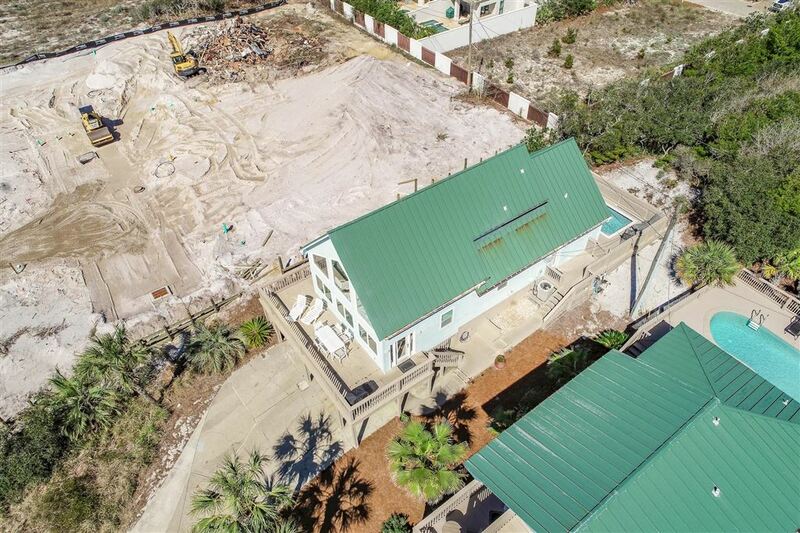 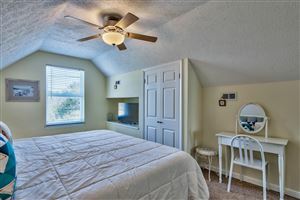 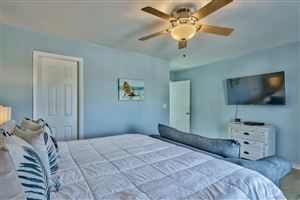 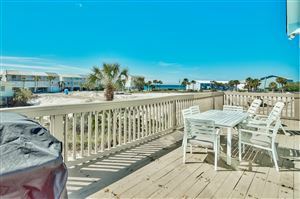 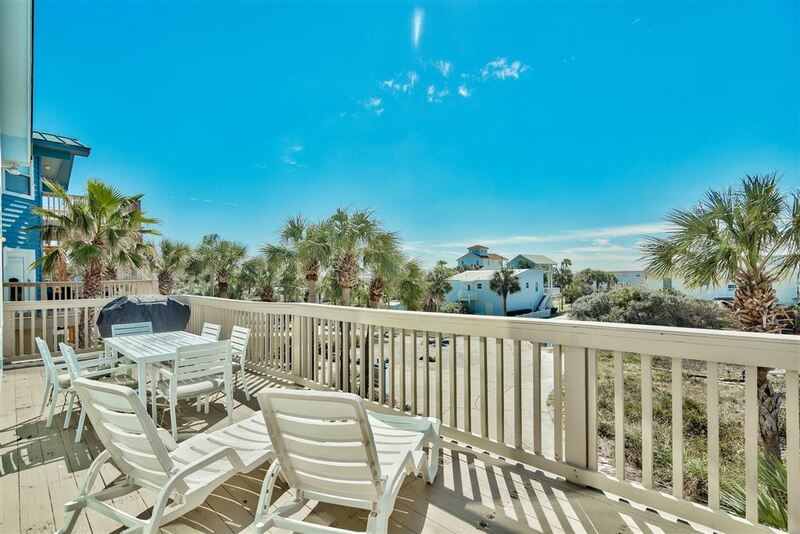 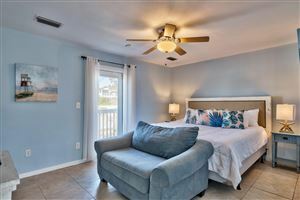 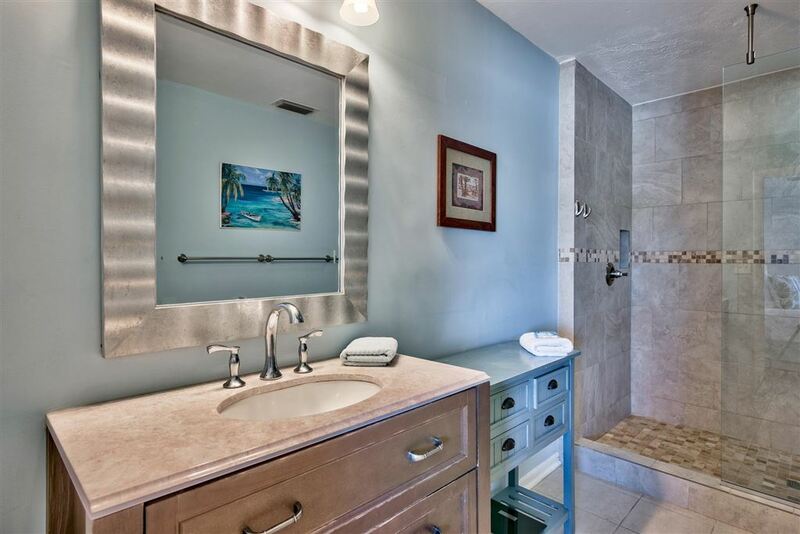 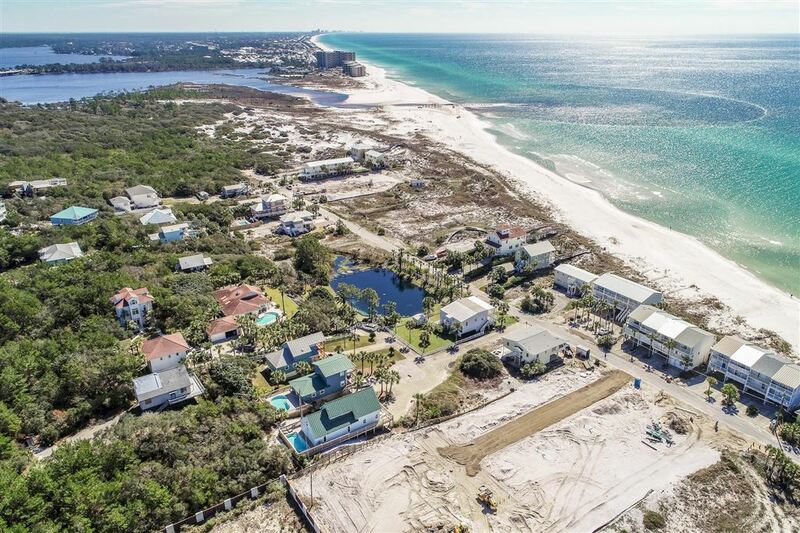 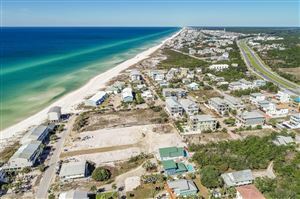 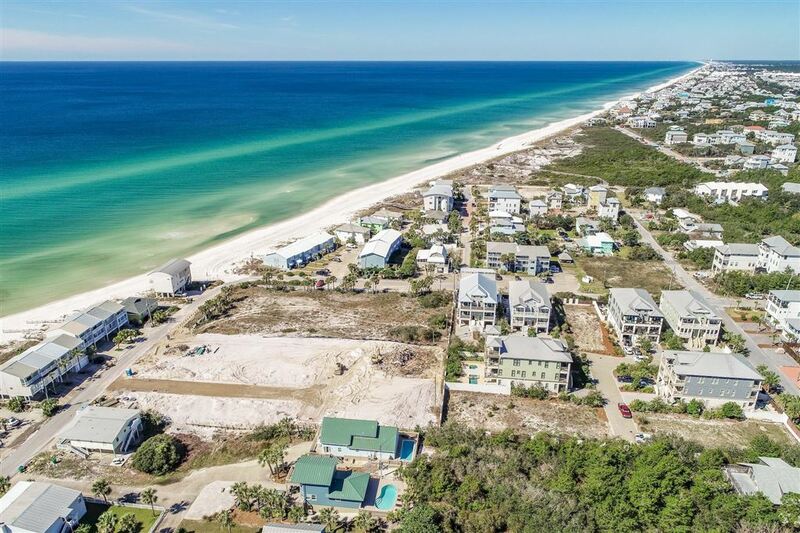 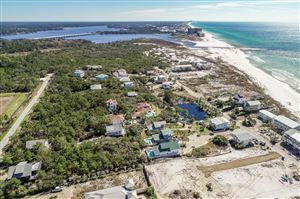 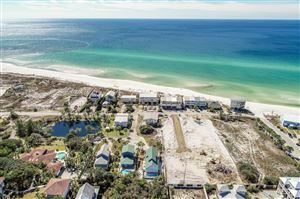 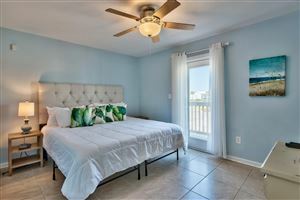 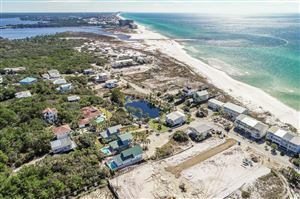 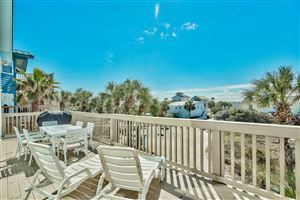 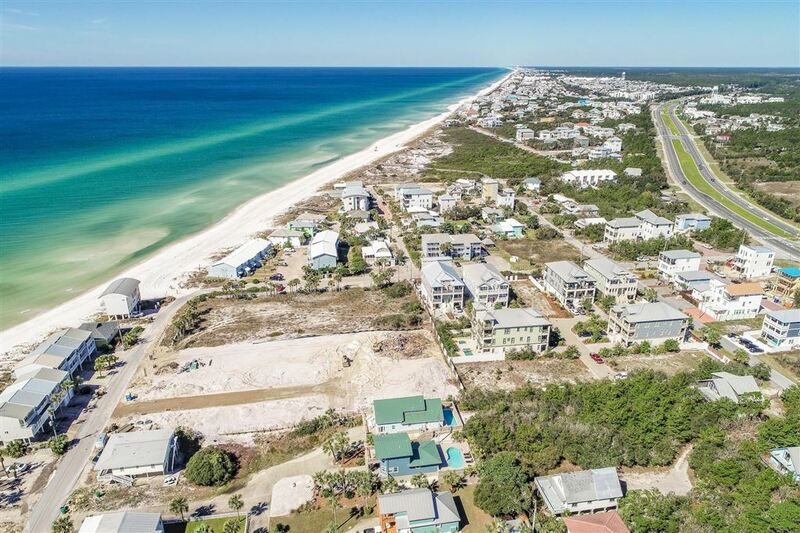 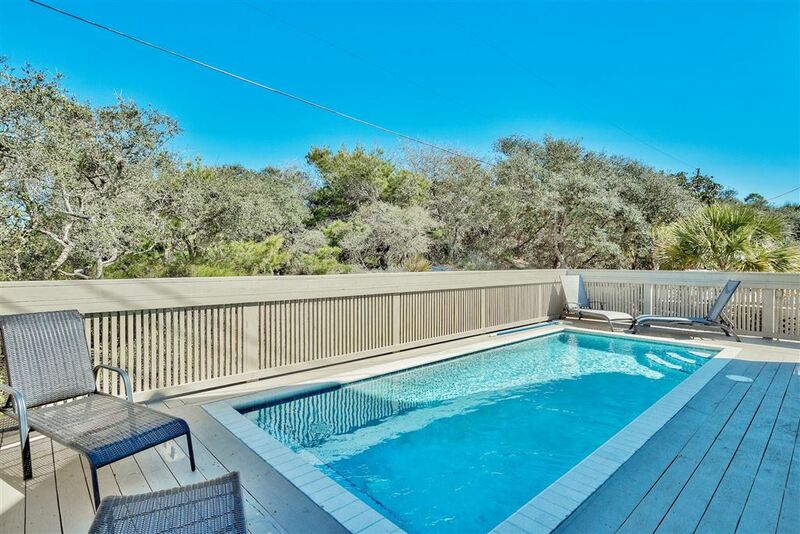 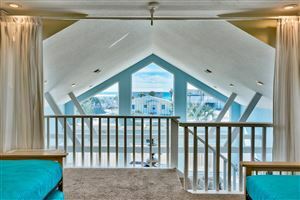 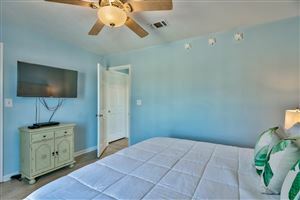 Close enough to the amenities and charm that 30A has to offer but set on top of a bluff where you can enjoy both sunrise and sunsets. 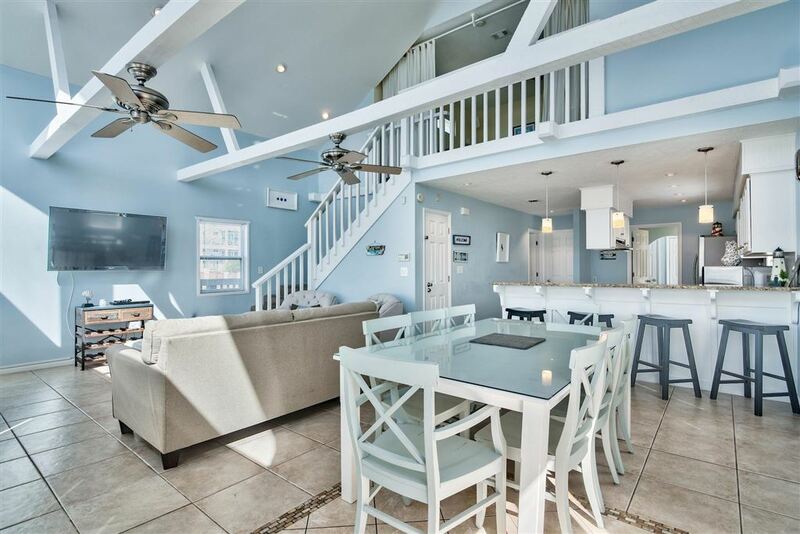 As you enter the front door, you arrive in such a bright and airy living area that attracts your focus on the sea and bright sunshine. 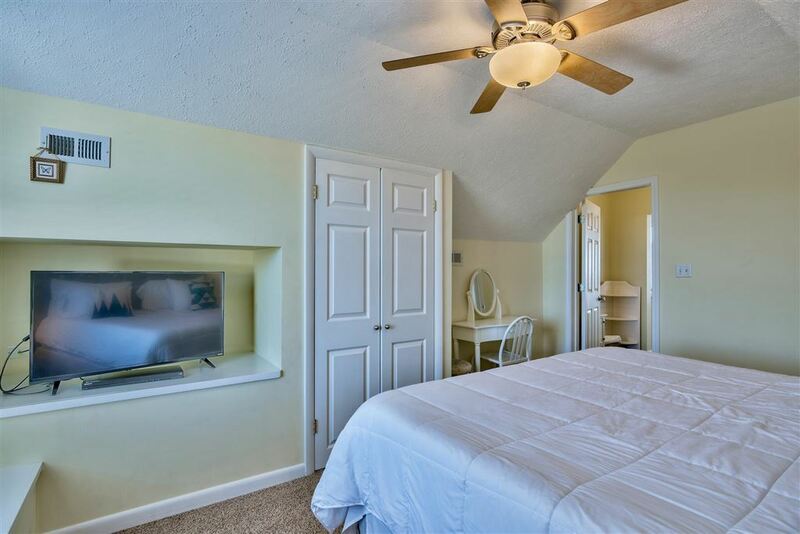 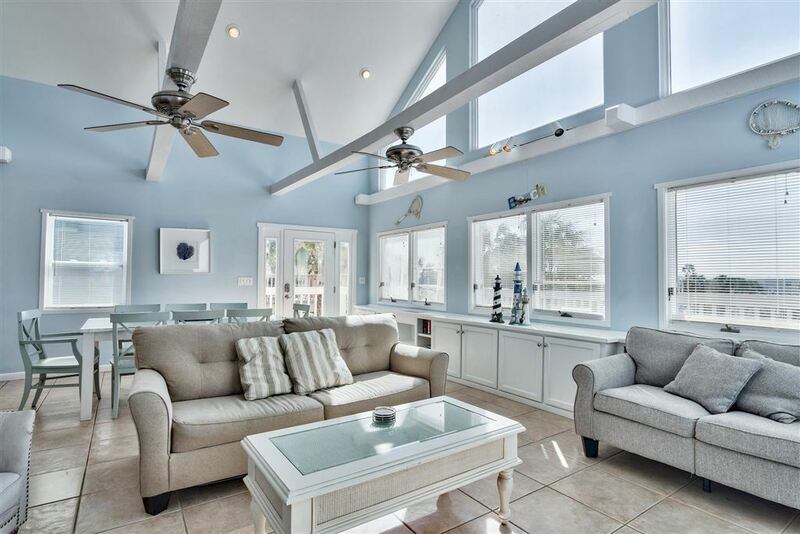 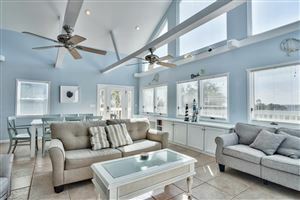 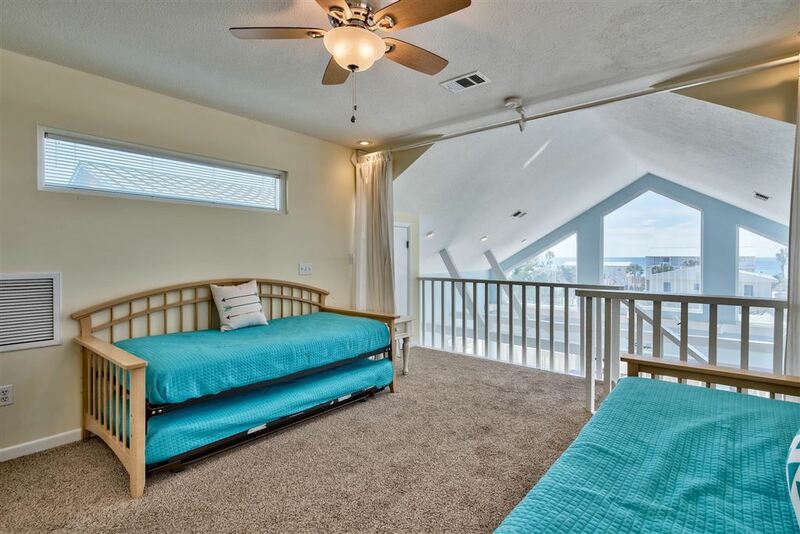 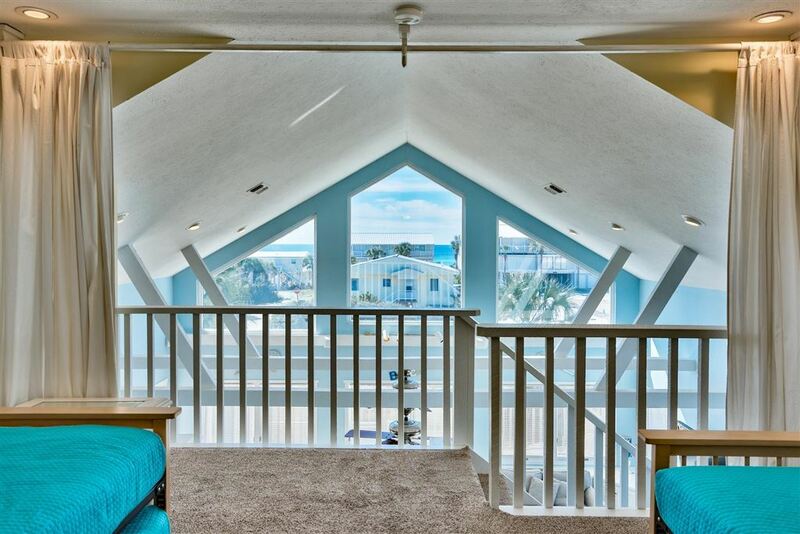 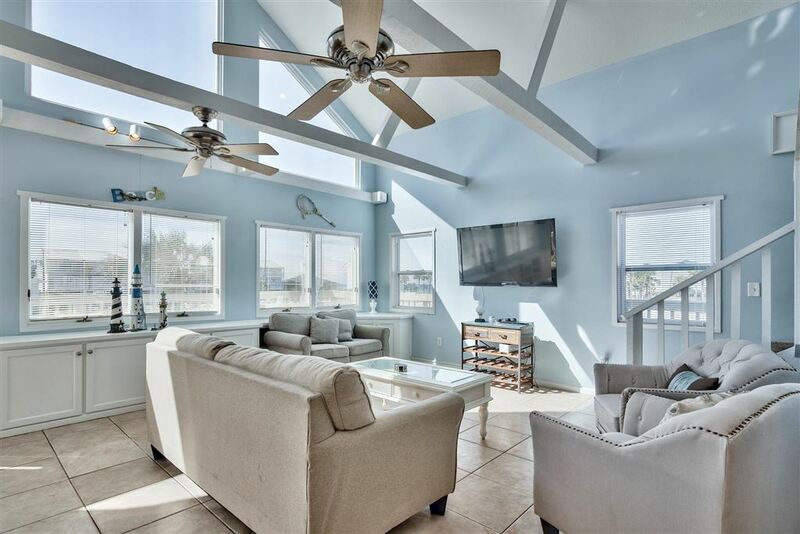 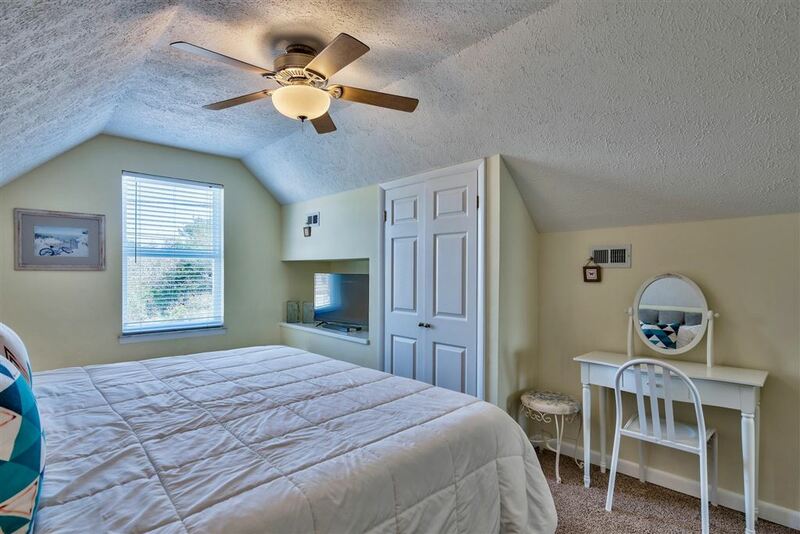 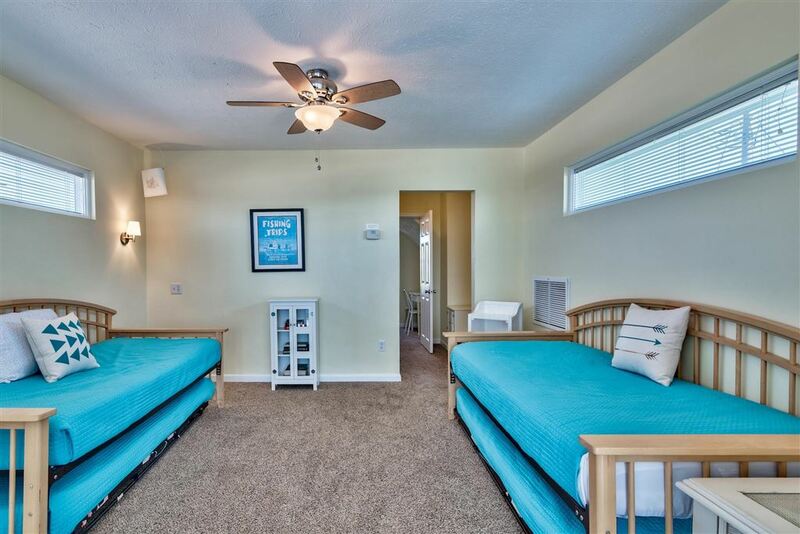 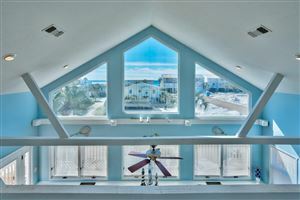 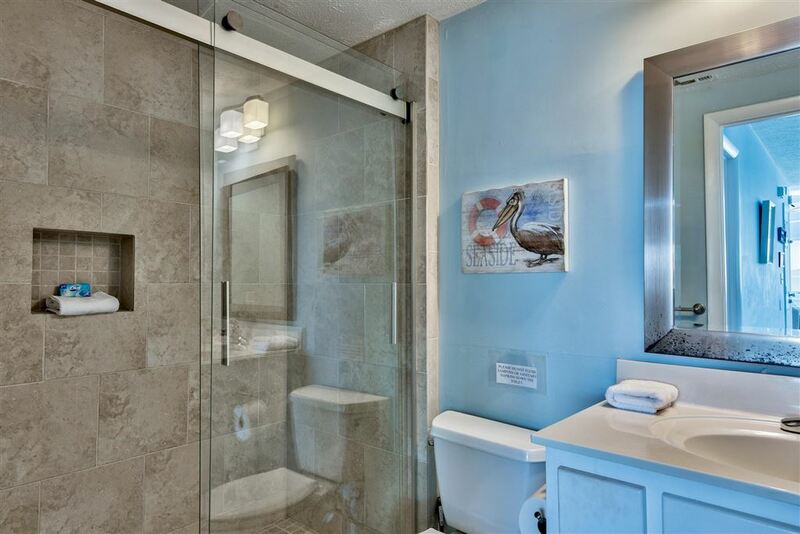 The unusually high ceiling adds to the vast amount of sunlight, setting your beach mood instantly. 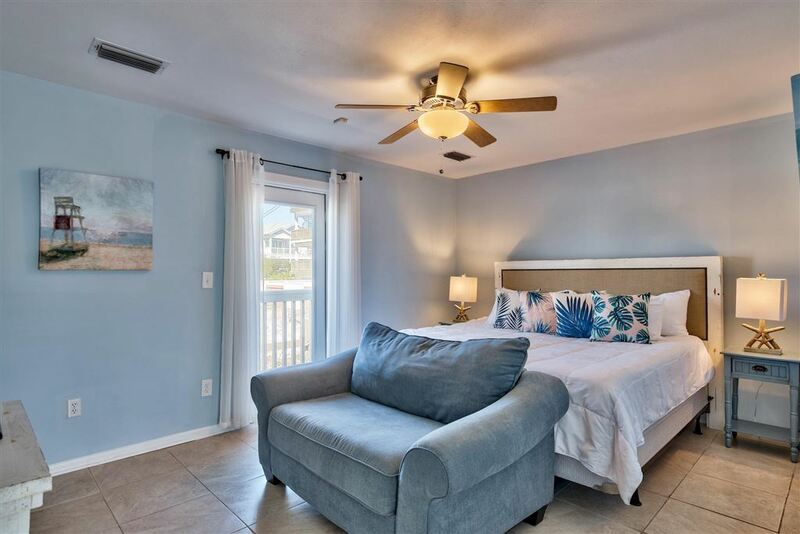 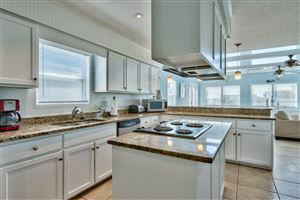 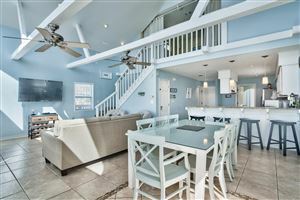 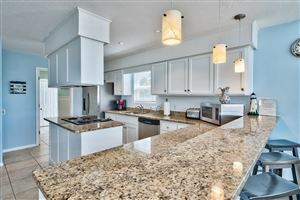 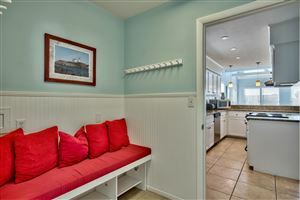 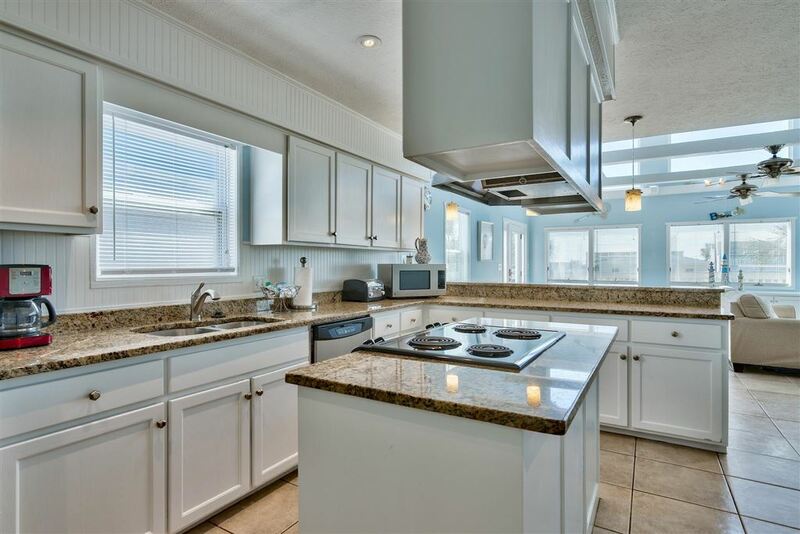 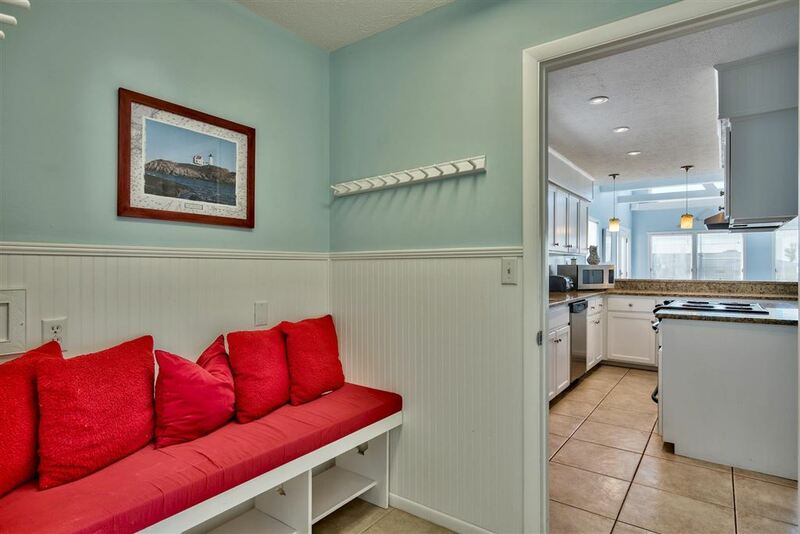 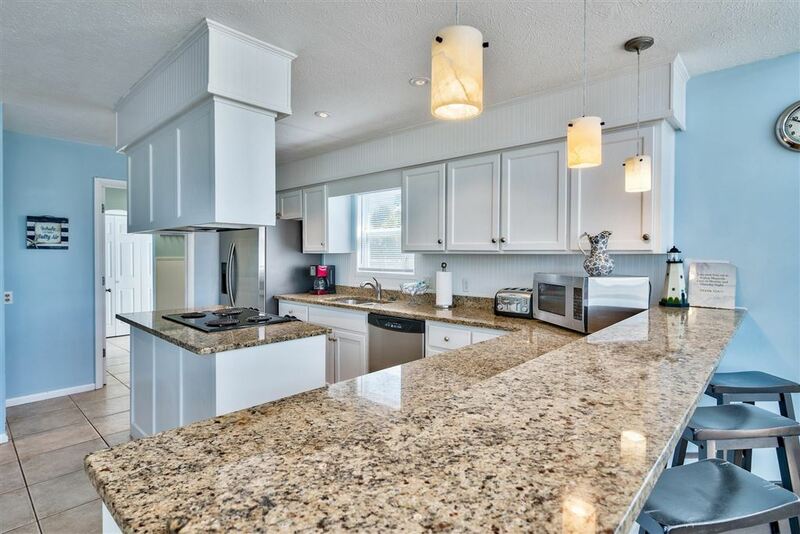 Built-in cabinets holding your favorite beach reads are set on the south side of the space which coincides with the very expansive, open kitchen/dining area which creates an abundance of space for those family beach get togethers. 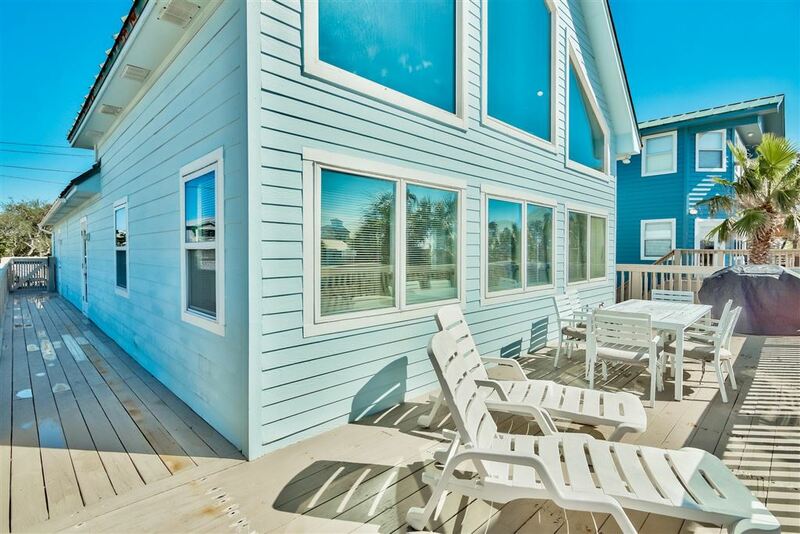 On the front of the house is an expansive wrap around deck, perfect for enjoying an outside breakfast, lunch or dinner.